We at Quick Notes™ believe that cutting-edge medical equipment should be available to all doctors regardless of clinic size and that such equipment should be simple and easy to use with minimum processing time or maintenance. We also wanted an x-ray technology that would be gentle to the patients and doctors. We were able to find such technology in NAOMI's multi-CCD detector. Together your wish is our command! With your existing x-ray generator and x-ray stand or table, NAOMI upgrades your office to digital on the very same day you receive it only by placing NAOMI instead of film cassette. NAOMI is always ready to take an x-ray and simplifies your x-ray process. No need of a darkroom, which used to occupy a space in your office. It does not require a storage space for film or chemical. The only things required to take x-rays are your x-ray generator, NAOMI, and a computer. You can use the unoccupied space more efficiently for any other purpose. How will you use your office space? 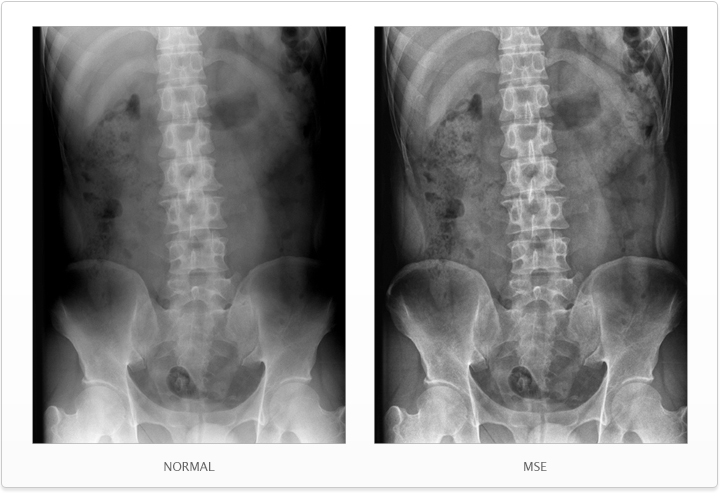 With film-based x-rays, it requires a lot of running cost regardless of the number of films you take. However, NAOMI is not associated with any running or maintenance cost since it does not require any film, chemical, and a processor. From the day you install NAOMI instead of a film cassette, you do not have to purchase any more film nor chemical, making huge savings for your practice. Since the discovery of x-ray by Wilhelm Roentgen in 1895, we have been capturing its light with a film. Time has changed, and medical scene is rapidly becoming film-less environment. 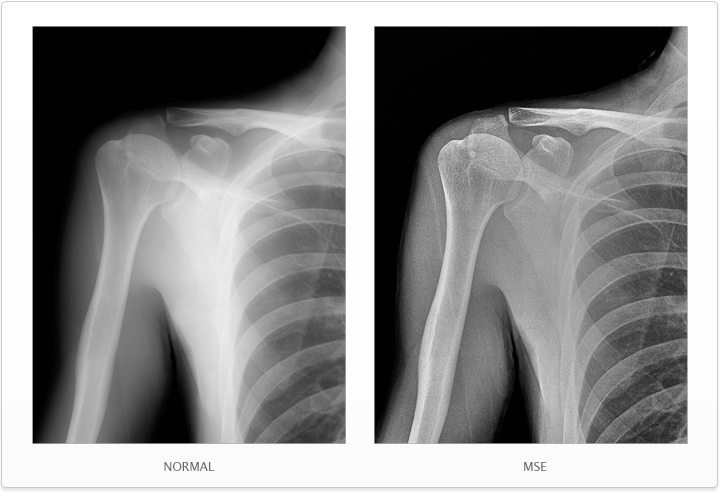 Currently there are two types of digital radiography; CR (computed radiography) and DR (direct radiography). However, CR is only the transitional technology to digital. 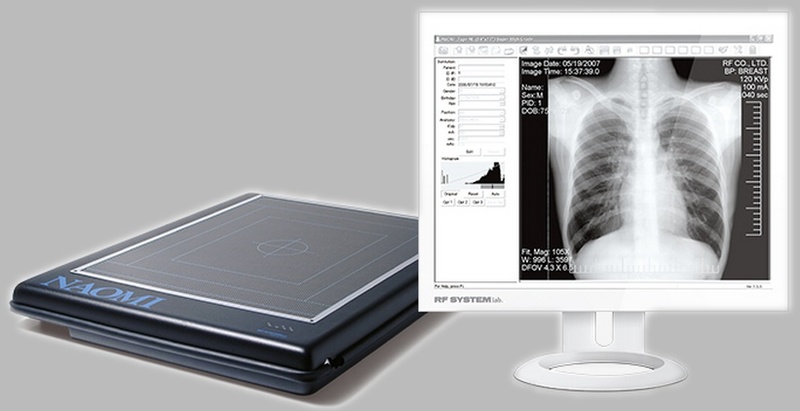 Now the digital radiography market shows significant transition from CR into DR. 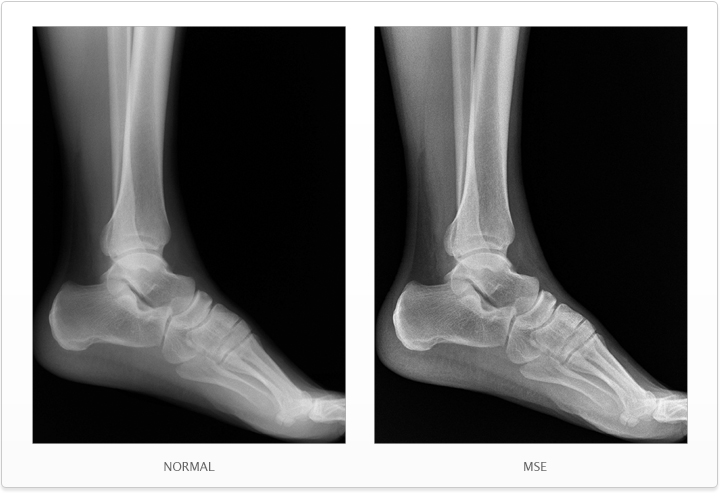 The DR system makes the x-ray examination more speedy and efficient than ever. Did you know that the film development chemical couldn't be flushed down to the drain even if it is diluted by hundredth? The film development bears a unbearable burden of time and effort. It is also damaging the environment with the industrial waste. Upgrading to digital x-ray relieves such burdens from the Earth and the people. It does not produce any wastes from the consumables such as film and chemicals. It also eliminates the costs from film development. 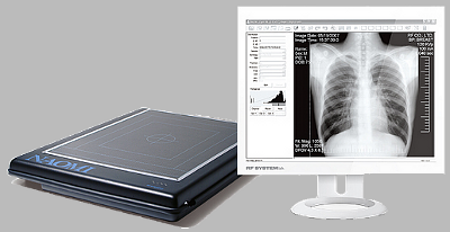 The digital radiography sensor, NAOMI achieves both eco-friendliness and cost reduction in your clinic. 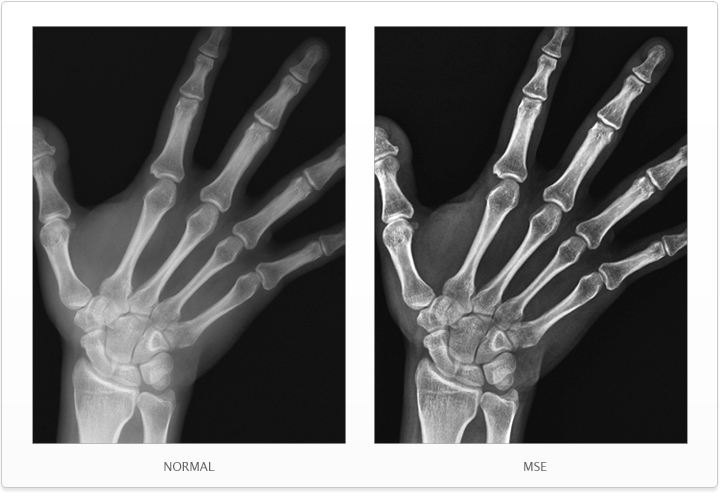 The short preparation time and immediate availability of x-ray examination is one of the main advantages for digital radiography. 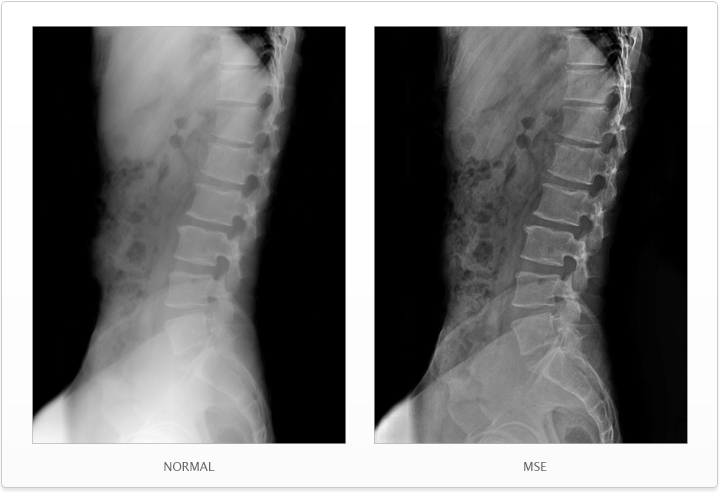 Once you open the NAOMI-c software, select the patient and irradiate x-ray. The image automatically appears on the monitor within seconds and gets stored in patient's folder simultaneously. There are no film processing or scanning the image, and you can start diagnosis right on the spot. Immediate access to radiography speeds up the daily practice and increases the efficiency with less costs. 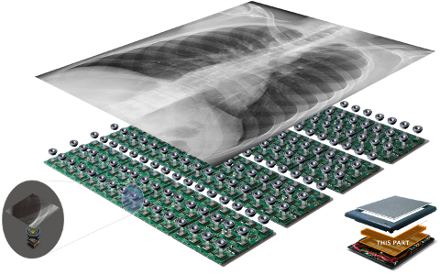 Since NAOMI-c DIGITAL X-RAY SENSOR immediately retrofits with your existing x-ray equipment with no office modification or messy wiring, you can use NAOMI-c DIGITAL X-RAY SENSOR for any positioning for multiple purposes. NAOMI-c has only 2 cables, USB cable and regular AC adapter. You can simply plug the USB cable to your computer. There is no fat cable necessary to your x-ray generator unlike other systems that usually require you to modify or replace your existing x-ray generator.